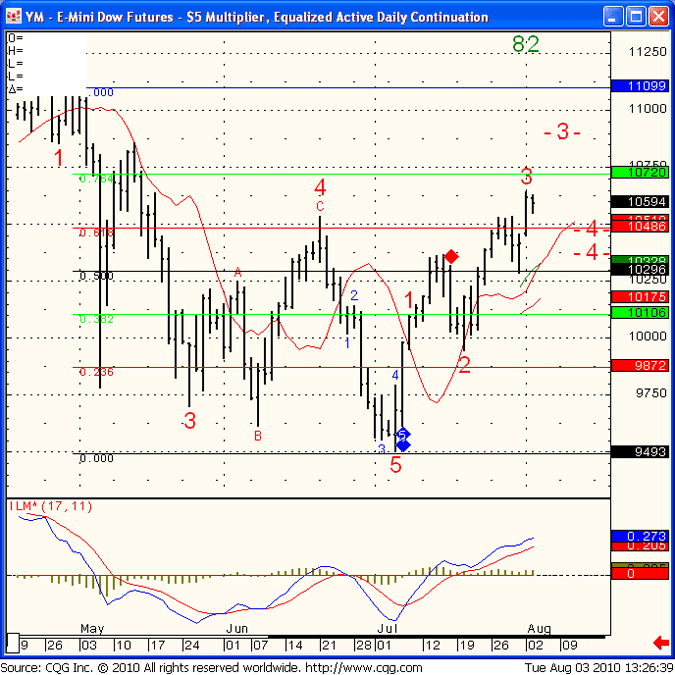 Daily chart of Mini Dow Jones futures contract for your review below with possible Elliot Wave scenarios. The 82 reading suggest the current uptrend is strong. If the 3rd wave we are in will continue than next target will be 10723. If the market pulls back first to possible 4th wave, support is at 10490. 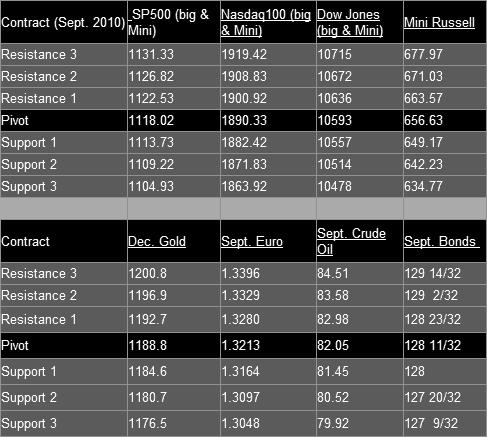 Of course, when its all said and done what matters most is price action and not what we want or hope the market will do.